Women are often taught to suppress their frustration. This can create a lot of pent up emotions for anyone! Rebecca Traister, author of GOOD AND MAD, wants you to do the opposite by expressing your inner rage to help better your own life. I confess that I am now suspicious of nearly every attempt to code anger as unhealthy, no matter how well meaning or persuasive the source. I believe that Stanton was correct: what is bad for women, when it comes to anger, are the messages that cause us to bottle it up, let it fester, keep it silent, feel shame and isolation for ever having felt it or rechannel it in inappropriate directions. What is good for us is opening our mouths and letting it out, permitting ourselves to feel it and say it and think it and act on it and integrate it into our lives, just as we integrate joy and sadness and worry and optimism. But I was also aware that my experience was unusual, that it could not be converted into advice that might apply to others. So while sure, I urge those who can comfortably do so to scream, yell, curse, write it out, phone a friend, and not keep themselves from feeling their own anger, you will find here no exhortation to lean into your own rage as I have into mine. I was not paying any price for expressing my ire, in fact I was being paid for it; it was my work, my job to take women’s anger seriously. My editors, bosses, friends were taking this project, and therefore the fury it was unpacking, seriously. It was glorious. But it was not replicable. And so it is not women (or not only women) who must change our behaviors; it’s the system built to suppress our ire, and thus our power, by design. We can change it by protesting and marching and calling and sending postcards; by donating money and knocking on doors for candidates and running for office, and making demands of our government and in our workplaces, on behalf of ourselves and, crucially, alongside and on behalf of those with more reason to be furious and less ability to leverage that fury than we have. 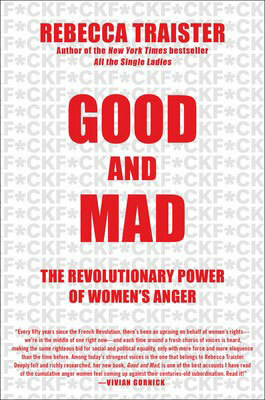 To learn more about expressing your rage pick up a copy of GOOD AND MAD by Rebecca Traister! Excerpted from Good and Mad by Rebecca Traister. Copyright © 2018 by author. Used by permission of the publisher. All rights reserved. “In a year when issues of gender and sexuality dominated the national conversation, no one shaped that exchange more than Rebecca Traister. Her wise and provocative columns helped make sense of a cultural transformation.”—National Magazine Award Citation, 2018 “The most brilliant voice on feminism in this country.”—Anne Lamott, author of Bird by Bird From Rebecca Traister, the New York Times bestselling author of All the Single Ladies comes a vital, incisive exploration into the transformative power of female anger and its ability to transcend into a political movement. 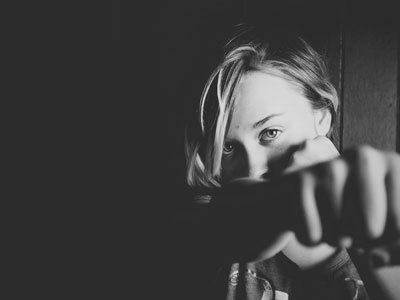 In the year 2018, it seems as if women’s anger has suddenly erupted into the public conversation. But long before Pantsuit Nation, before the Women’s March, and before the #MeToo movement, women’s anger was not only politically catalytic—but politically problematic. The story of female fury and its cultural significance demonstrates the long history of bitter resentment that has enshrouded women’s slow rise to political power in America, as well as the ways that anger is received when it comes from women as opposed to when it comes from men. With eloquence and fervor, Rebecca tracks the history of female anger as political fuel—from suffragettes marching on the White House to office workers vacating their buildings after Clarence Thomas was confirmed to the Supreme Court. 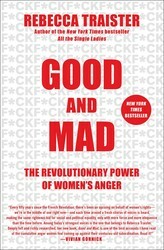 Here Traister explores women’s anger at both men and other women; anger between ideological allies and foes; the varied ways anger is perceived based on its owner; as well as the history of caricaturing and delegitimizing female anger; and the way women’s collective fury has become transformative political fuel—as is most certainly occurring today. She deconstructs society’s (and the media’s) condemnation of female emotion (notably, rage) and the impact of their resulting repercussions. Highlighting a double standard perpetuated against women by all sexes, and its disastrous, stultifying effect, Traister’s latest is timely and crucial. It offers a glimpse into the galvanizing force of women’s collective anger, which, when harnessed, can change history. Rebecca Traister is writer at large for New York Magazine and a contributing editor at Elle. A National Magazine Award finalist, she has written about women in politics, media and entertainment from a feminist perspective for The New Republic and Salon and has also contributed to The Nation, The New York Observer, The New York Times, The Washington Post, Vogue, Glamour and Marie Claire. Traister's first book, Big Girls Don't Cry, about women and the 2008 election, was a New York Times Notable Book of 2010 and the winner of the Ernesta Drinker Ballard Book Prize. She lives in New York with her family.